Kiev: Ukraine's parliament on Thursday voted not to accept the resignation of Prime Minister Arseniy Yatsenyuk. 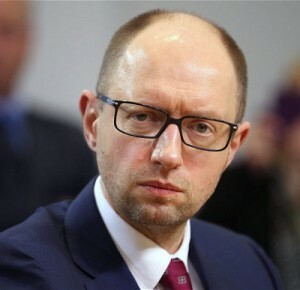 Yatsenyuk had said last week he was resigning after two parties left the coalition supporting him and parliament balked at passing laws he said were essential to fund the country's war against pro-Russian separatists. But the parliament had to accept the resignation, and decided not to. The vote was 16 for accepting and 109 against, with the rest of the 450-member parliament either absent or not voting. President Petro Poroshenko had urged legislators and the government to find a compromise and keep the parliament working even as he pushes for new elections. Under Poroshenko's prodding, parliament finally passed the bills Yatsenyuk had been pushing. The vote keeps Ukraine on course for fulfilling its obligations under its bailout loans with the International Monetary Fund and ensures added funding for the military. Parliament had balked at passing budget revisions to spend more money on the war and on reconstruction of shattered infrastructure. That legislation passed; legislation on allowing the sale of a minority stake in Ukraine's gas pipeline system was sent for another vote at a later session. Poroshenko said that "today the attitude of the people's deputies of Ukraine toward the Ukrainian people and the Ukrainian army, does not depend on whether there is a governing coalition or not." He said that new elections would be "a reality" but did not specify what steps he would take to bring that about. Meanwhile, a delegation from Russia's state aviation body hopes to visit the site where Malaysia Airlines Flight 17 crashed in east Ukraine two weeks ago, an agency spokesman said today. Sergei Izvolsky told the AP that a delegation of Russian specialists from Rosaviatsiya was due in Kiev today to participate in the investigation. He said the delegation would attempt to reach the crash site if it was safe to do so and that Russian specialists would hand over all relevant materials to the Dutch delegation. Representatives of the Dutch and Ukrainian commissions would not comment on the arrival of Russian officials. Continuing fighting has hindered access to the crash site, located in rebel-controlled territory in east Ukraine.